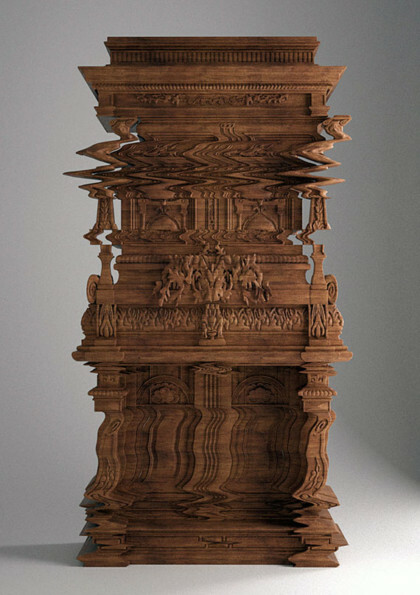 Designer Ferruccio Laviani brings us the Good Vibrations Cabinet. If you’re slapping your computer screen, stop. It only looks like a glitchy computer or TV. The thing was hand-carved by Ferruccio and it is in no way photoshopped. Or so the internet tells me. And if there’s one thing I can rely on to give me the cold, hard facts, it’s the internet. Which, OMG, did you hear Kevin Bacon died? Yeah, right after they crowned him the new Pope, he spontaneously combusted. These are crazy times we live in, people.